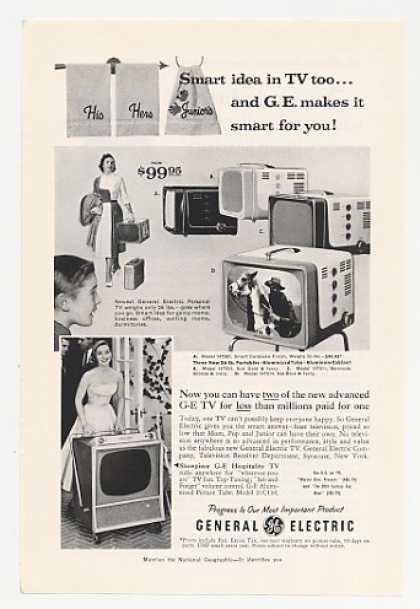 One thing I admire about the mid-century modern movement (say that 10 times fast) is that it didn't stop at just furniture, but spilled over into electronics and appliances as well. TV sets made from the late 40s through the 80s have so much character. 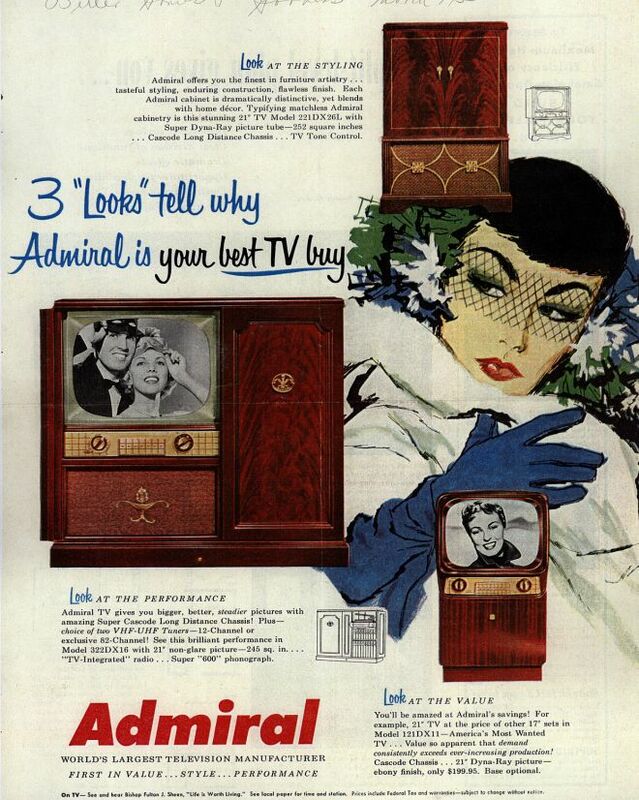 They were quite often works of art and meant to compliment a room. 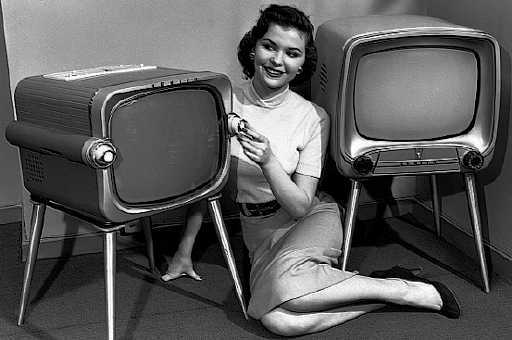 By contrast, today's flat-screen and 3D TVs may be slick, high-tech, and give us a splendid picture, but they all look the same to me. 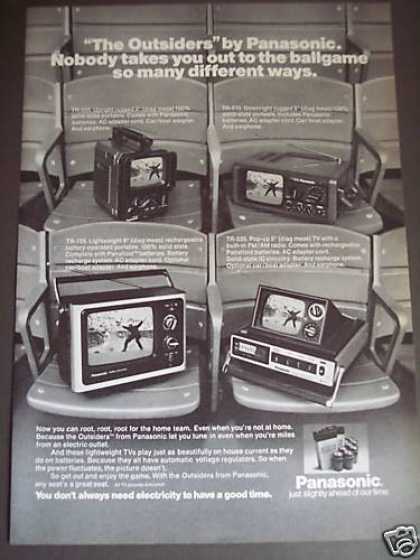 TV screens have also gotten bigger through the decades in keeping with our increasingly materialistic society, and that means less room for uniqueness. 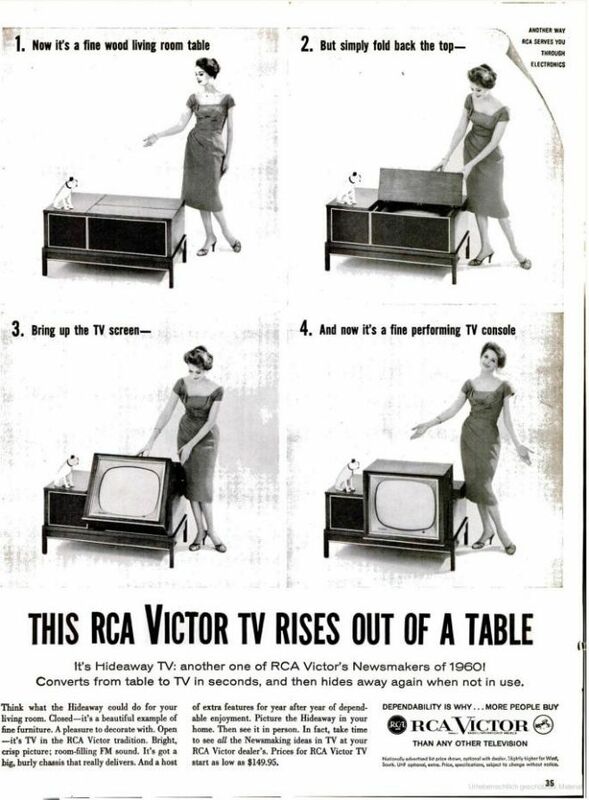 A lot of TV sets from the 50s and 60s doubled as an entertainment console that housed a stereo and storage space; many of today's TVs hang on the wall, out of the way. Talk about multi-tasking! 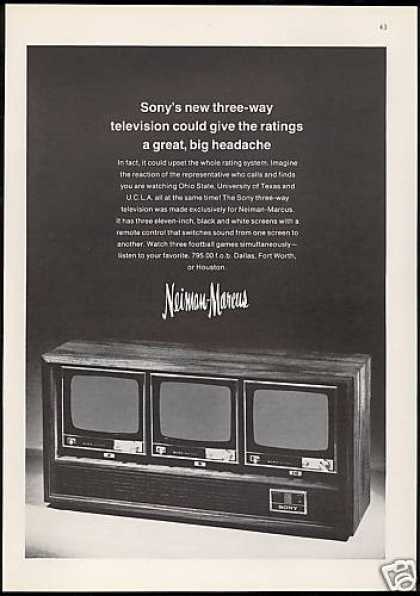 Never knew there was a three-way TV...but I'm guessing it never caught on. Just too cool. 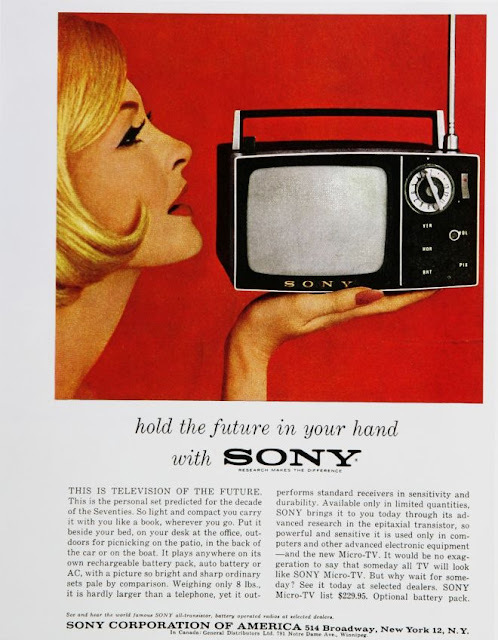 I had the little sony! 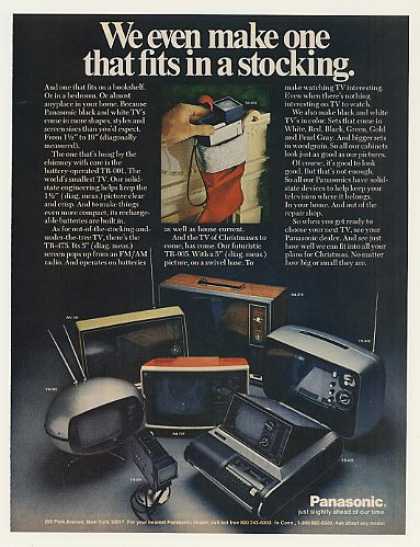 I could look at these retro-tvs all day, how I miss 'em. 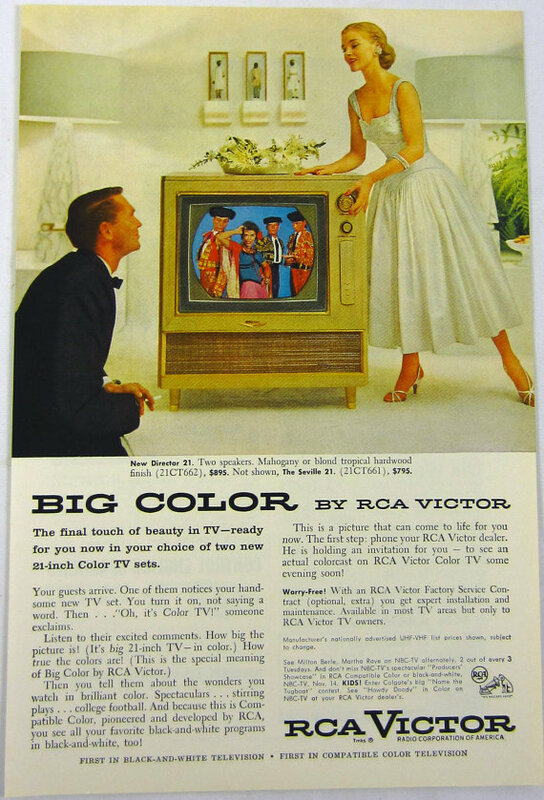 The first color tv show I saw was Rudolph the Red-Nosed Reindeer when my dad bought one of those big floor model Zeniths for the family for Christmas in '67--I felt like I was at the movies! I remember them well. First show I saw was 'Super Circus." 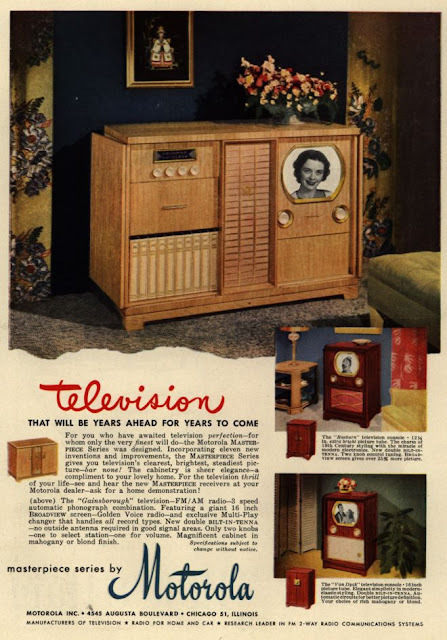 I'd love to have you go back to your grandparents' era when the radio was important piece of livingroom furniture. 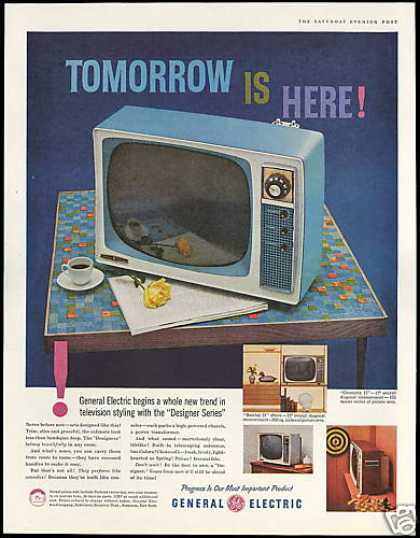 Beautiful, massive cabinets and colorful dials designed by artists each company hired. 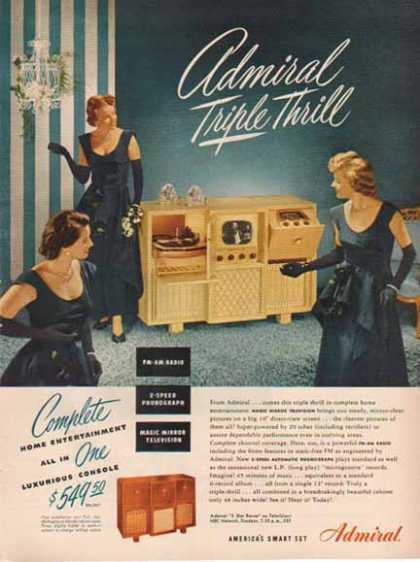 Two leaders, Crosley and Zenith went nuts outdoing each other with the biggest and best. Lots of photos and stories on the net. Very neat styling and features. 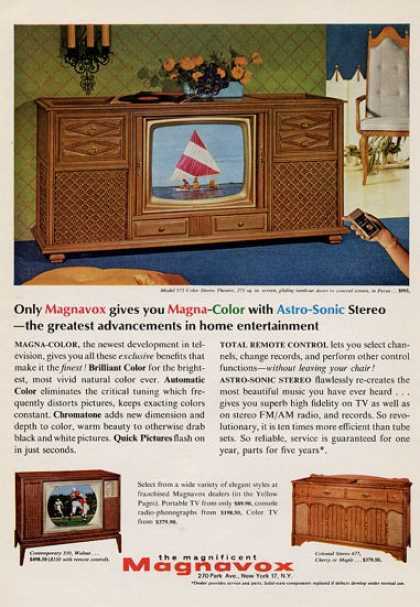 Though we never had one, my favorite TV name and "feature" had to be a Quasar and it's "Works in a Drawer." They also had a very cool jingle that sounded so Space-Age. Heck it WAS Space-Age!! 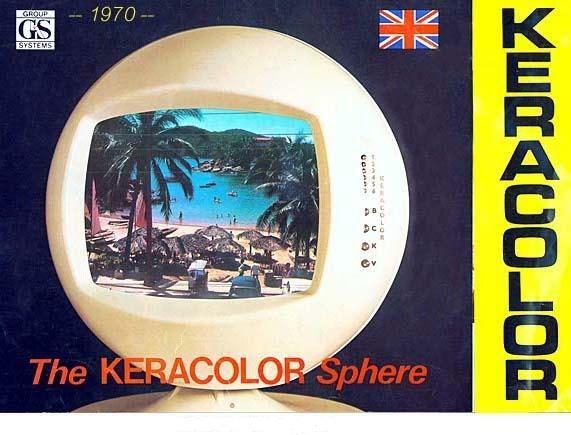 I remember the Quasar jingle, anyone growing up in the early 1970's has that one burned into their memory! 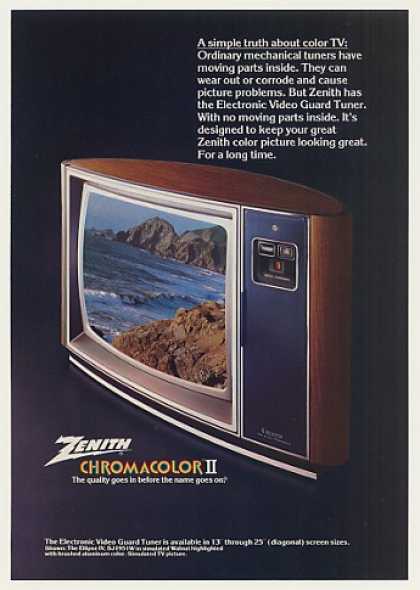 My parents had a huge black and white Zeinth when I was a child. 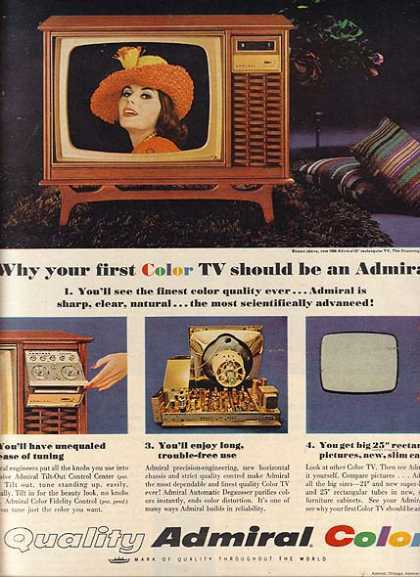 We got the first color TV around 1968 or so. You know, MY mom always wore her black lamay gown when we watched TV. 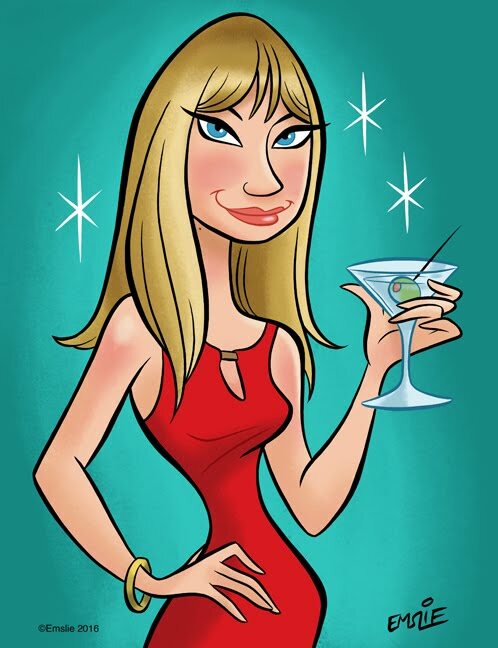 It made for a classy evening.